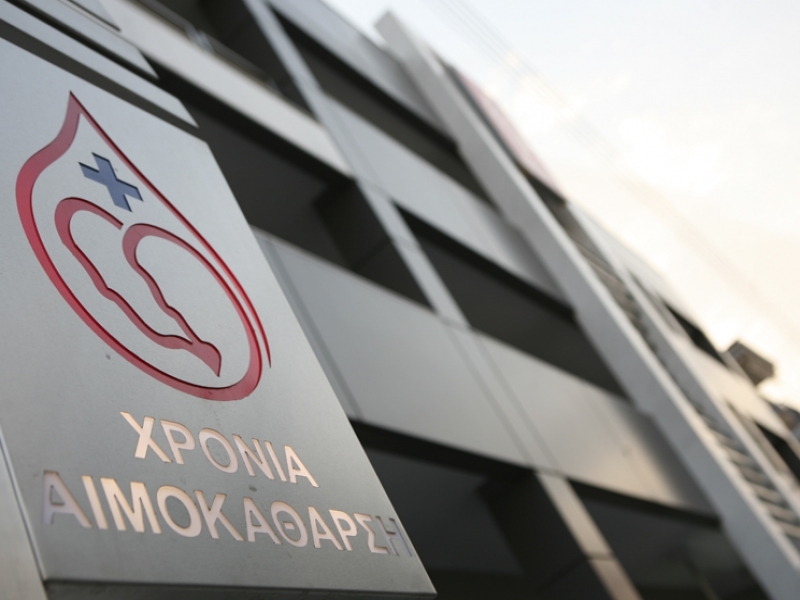 From the very first glance the Thessaloniki Nephrology clinic transmits the genuineness and high quality of the assistance and services offered. When the visitor sets foot inside the unit’s spacious facilities he is enveloped by warmth, friendliness and humanity. The state-of-the-art, newly-built, luxurious building surpasses every expectation, meeting and exceeding all quality, safety and hygiene standards. The innovative architecture, the welcoming and at the same time impressive décor, all combine to create a beautiful, clean and attractive environment. 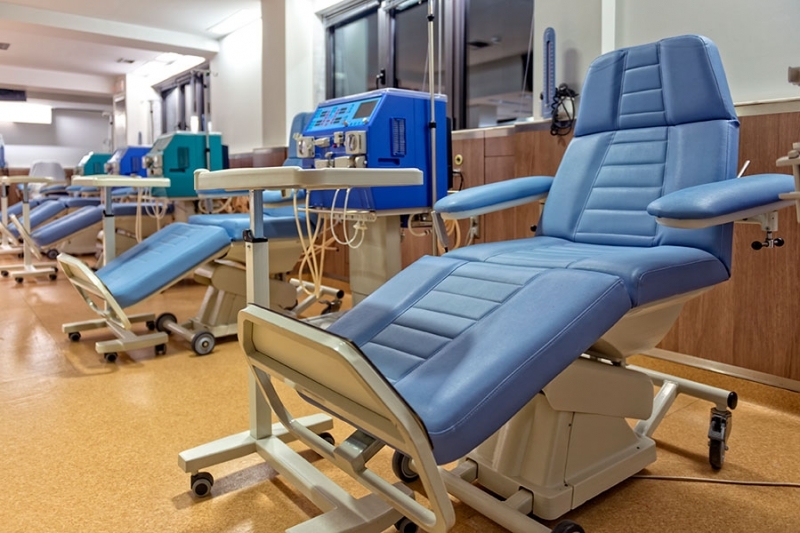 A visit to our clinic does not end merely with the dialysis procedure. Specially laid-out areas are available such as the unit’s cafeteria and comfortable lounges. 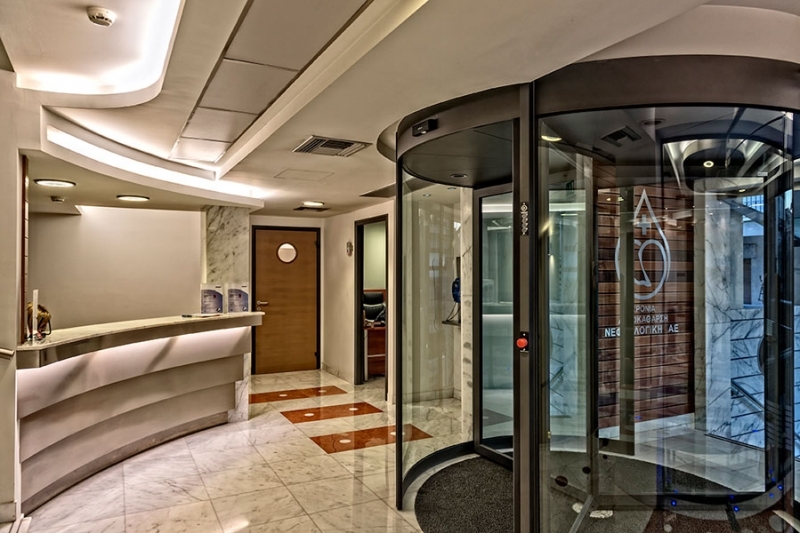 The receptionists show visitors there with the aim of making them feel comfortable in a truly people-oriented space, which is every bit as fine as the equivalent hotel facilities. Furthermore, the good mood of the patients, relatives and friends is a determining factor. The structure of the centre and, above all, the people-oriented staff have one sole aim – to provide all types of services to visitors with special care and attention. 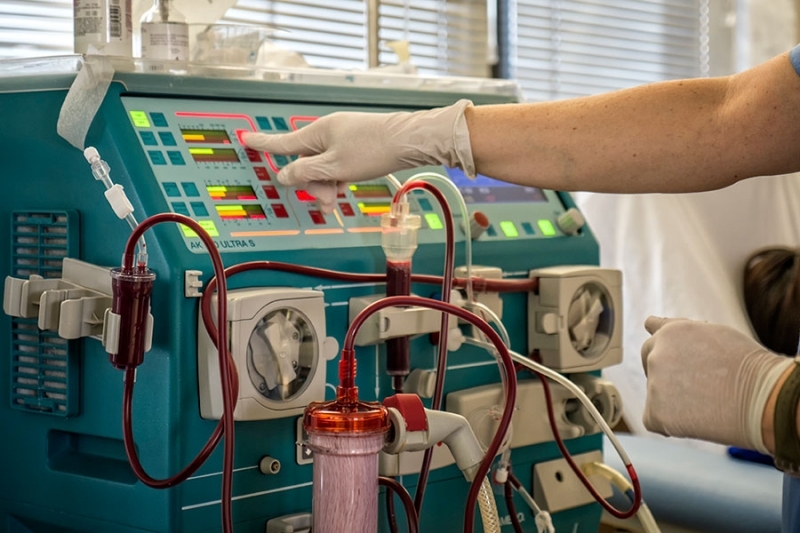 – High and low flux dialyzer filters. The capacity of the center – up to 320 people a day.